CCTV footage of the vandal who threw white gloss paint on memorials to Britain’s war dead and PC Yvonne Fletcher shot dead outside the Libyan Embassy has been released. 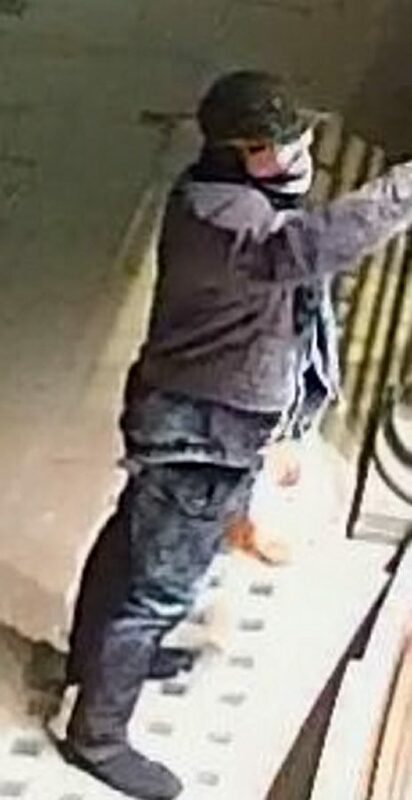 The suspect who appears too have a limp wore ski goggles and covered his face as he targeted the Bomber Command memorial in Green Park in central London on Sunday evening three weekends ago. 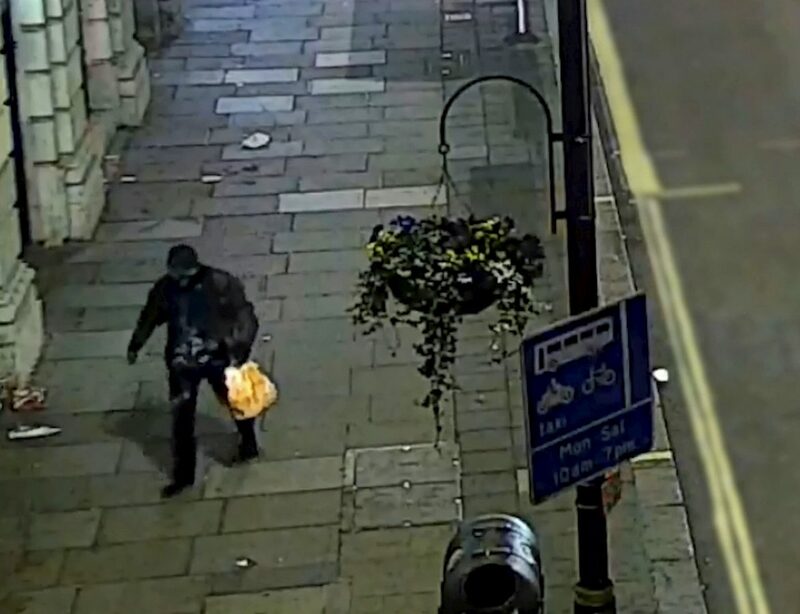 CCTV footage of the vandal who threw white gloss paint on memorials to Britain's war dead and PC Yvonne Fletcher shot dead outside the Libyan Embassy has been released.The suspect who appears too have a limp wore ski goggles and covered his face as he targeted the Bomber Command memorial in Green Park in central London on Sunday evening three weekends ago.He then vandalised the 'Allies Statue' of Winston Churchill and Franklin D Roosevelt, the Canada Memorial, The Royal Marine Memorial and the Yvonne Fletcher memorial.Detective Inspector David Watkinson said: “We have exhausted all operational lines of inquiry and have now released this footage as part of our sustained effort to identify the person responsible for this wanton vandalism. He then vandalised the ‘Allies Statue’ of Winston Churchill and Franklin D Roosevelt, the Canada Memorial, The Royal Marine Memorial and the Yvonne Fletcher memorial. The wanton vandalism were based around Green Park or St James’s Square. Now Scotland Yard have released footage of the vandal who struck on January 20 and then into Monday in a bid to catch him. 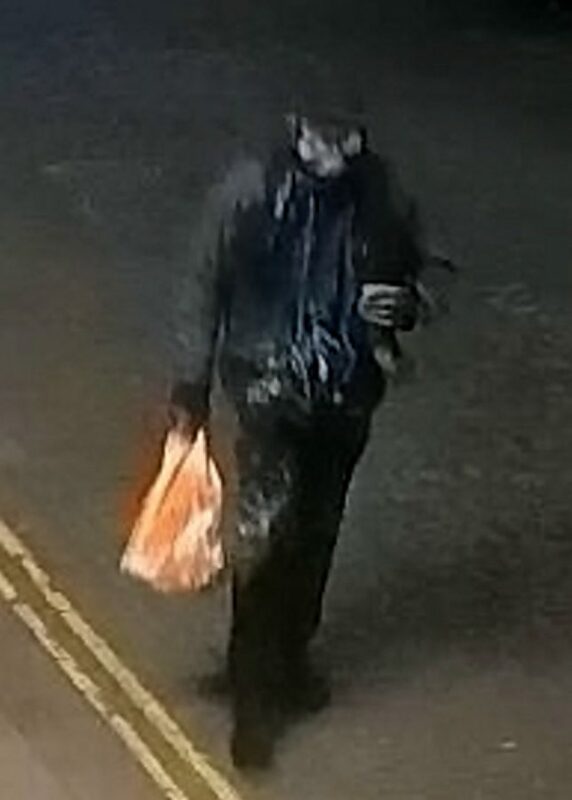 Detective Inspector David Watkinson said: “We have exhausted all operational lines of inquiry and have now released this footage as part of our sustained effort to identify the person responsible for this wanton vandalism. “The route we believe was taken by the suspect is usually very busy and they are likely to have been seen by a number of people. Scotland Yard said: “Detectives investigating reports of criminal damage to a number of statues in central London have released two CCTV clips of a man they wish to trace. “The clips released show the suspect, who walks with a distinctive gait. The clips are believed to have been from before and after the offences were committed. 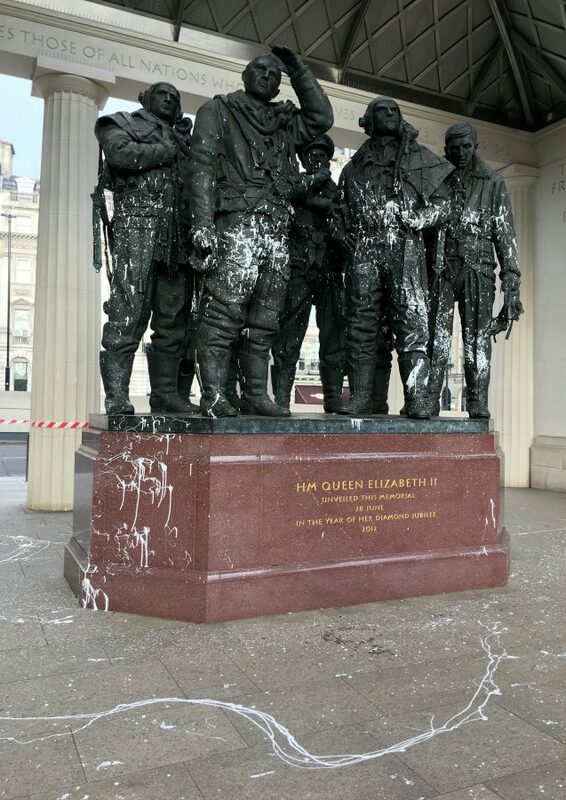 “On the evening of Sunday, 20 January, police received a report of criminal damage to the Bomber Command memorial in Green Park near Piccadilly. “On Monday, 21 January, police also received subsequent reports of damage to the ‘Allies Statue’ of Winston Churchill and Franklin D Roosevelt in New Bond Street, the Canada Memorial in Green Park, The Royal Marine Memorial in The Mall and the Yvonne Fletcher memorial in St James’s Square. “In all cases white paint had been splashed on the memorials. “White paint was also found on a shop window on Old Bond Street. “All the incidents continue to be treated as linked. “Detectives from Central West CID are investigating and continue enquiries including forensic examination and the ongoing review of CCTV. “The clips released show the suspect, who walks with a distinctive gait. White paint also appears to have been splashed onto his trousers. 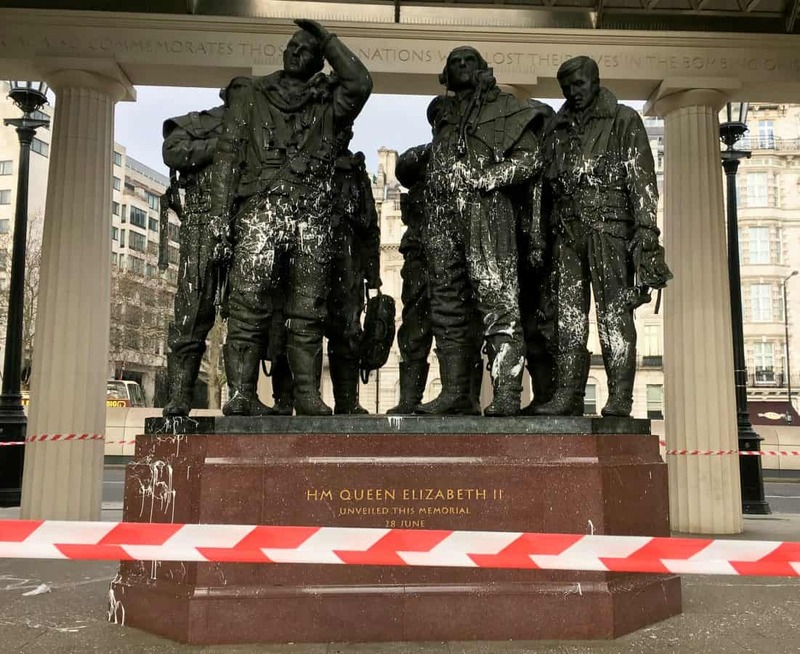 “It is thought that the suspect started their acts of criminal damage at the Bomber Command memorial before heading along the Mall towards Trafalgar Square. “They would have passed Canada House in the direction of St James’s Square, before ending on Jermyn Street.